Istanbul modern? In a word, it’s Autoban. With their east-meets-west twist on mid-century classics, this young duo has jump-started their hometown’s design scene. Özdemir founded the design firm Autoban with Sefer Çağlar in 2003, eight years after they met, at age 20, at Istanbul’s Mimar Sinan Fine Arts University—–Özdemir studying architecture, Çağlar interior design. 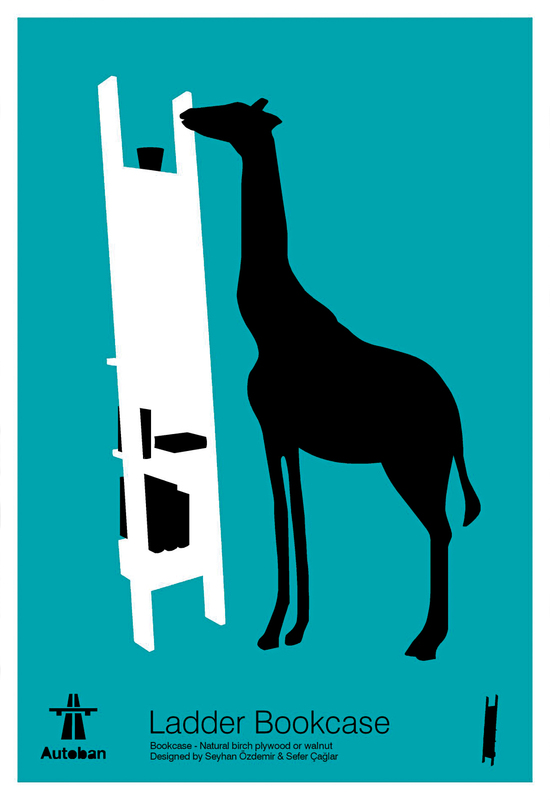 One of Autoban’s graphic whimsies, where silhouetted animals interact with furniture. 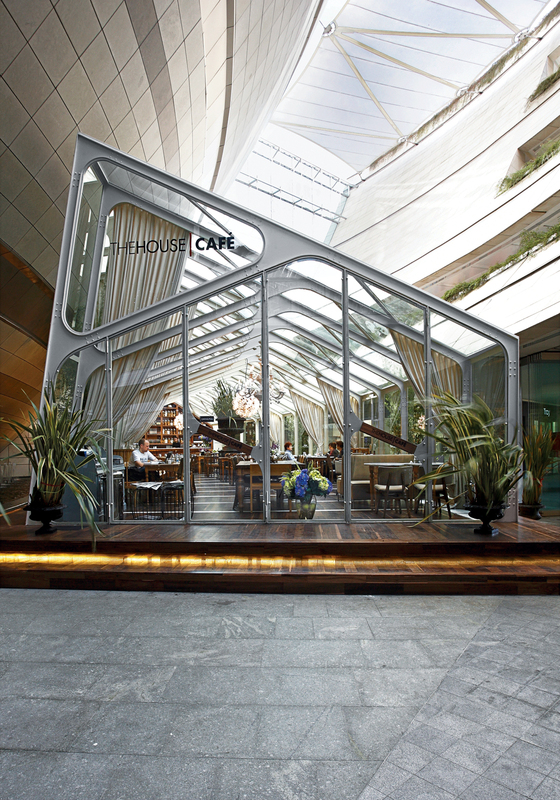 The House Café evokes colonnaded patterns of mosques, albeit in a secular manner. In Özdemir’s living room an Autoban Box sofa faces an Eames 670 lounger, its clear predecessor. Their Octopus chandelier’s lit legs beckon to the ceiling, which boasts a pattern as typical to the city as tiled floor. The King lamp and One Armed chair showcase the kind of detailed woodwork that’s been done in the district for centuries. The De La Espada partnership was fortuitous, as the manufacturers also specialize in woodwork. Özdemir works at her desk, conveniently just a few blocks from her flat. Autoban’s showroom in Tünel is on the same street as the firm’s recently expanded office, which is in an early 19th-century building. After meeting at university Özdemir and Çağlar form Autoban in Istanbul. Their interior design practice begins to take off after their first commission, the Sedir cafe. Functioning as a stool, coffee table, and magazine rack, the Pumpkin is a multifunctional design. Autoban kept the original integrity of this former restaurant turned residential Loft by incorporating some of the original features. With legs stemming from the globe and lightbulbs emanating from the legs, the appearance of an octopus takes shape. This winsome poster was designed to help promote the mid-modern inspired Bergere chair. Another classic piece in a long line of De La Espada collaborations, the Bergère chair made its debut in 2005. The design of the Mushroom family of stools was function driven: They can be seats or tables. Located in their hometown of Istanbul, the Art8 art gallery was completed in 2006. The Single Octopus chandelier, designed by Autoban, hangs in the kitchen of Çağlar's Istanbul apartment. Autoban’s interior work continues to showcase and inspire new product designs. The Box sofa is specifically intended to bring contrast into rooms filled with curvaceous products like the King Lamp. Interiors like that of V2K Akmerkez keep Autoban thinking about architectural space. A series of lucrative interior jobs from a pair of hotels (Witt Istanbul Suites and the Marmara Sisli) keeps pace with further explorations in furniture design, like the King lamp. Autoban's redesign of the The Marmara Sisli Hotel included replacing the existing facade, creating an all concrete bar in the lobby, and outfitting every room with a mixture of raw materials. 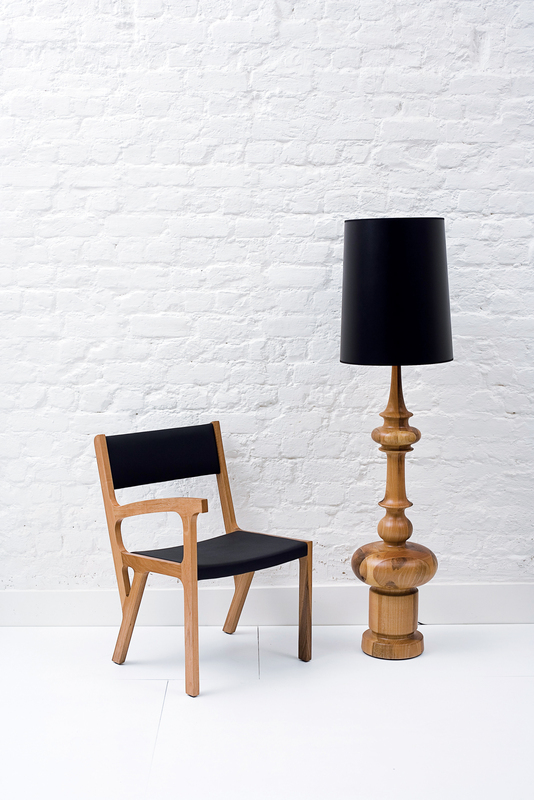 Mirroring a life sized chess piece, the King lamp was created by the duo in 2006. Kitchenette Bebek is a three-story restaurant that was completed in 2008. The second floor is an open lounge area, while the third floor "Library room" is reserved for the gentleman. A new addition to the Autoban family, the Deco sofa also has an ottoman counterpart. “Money, budgets, strategy, borders, limits—–if you want to be successful, you have to keep them all in mind at once,” says Seyhan Özdemir while smoking a cigarette at her desk. A slice of the Bosporus, blue with white boats, peeks between buildings through the tall window behind her. It then reflects off a mirror, placed deliberately so she can enjoy the view from where she sits. Özdemir founded the design firm Autoban with Sefer Çağlar in 2003, eight years after they met, at age 20, at Istanbul’s Mimar Sinan Fine Arts University—–Özdemir studying architecture, Çağlar interior design. “Sefer is like a brother,” Özdemir says. “We created ourselves together through our passions for design, architecture, and telling a story.” After a few years of professional experience, they opened a small studio and began designing interiors. “In those days, Turkey didn’t know about branding,” she recalls with a hint of disdain. The duo wanted to create total environments, filled with their own furniture and graphic designs and their distinctive aesthetic character. They needed to claim their territory and did it in part through the name Autoban, which came from the life-as-highway metaphor—–driving fast and making all the right moves. The feeling in an Autoban space is generally warm, good-humored, and cosmopolitan. The designers also have a healthy appetite for aesthetic contrasts, and their work can offer baroque curves meeting square edges, the old abutting the new, rough-hewn surfaces jostling up against polished metal, and subtle cultural influences playing off each other. Traces of humor emerge here and there, and wood—–the material most readily available for local production in Istanbul—–is everywhere. to offset scruffy swaths of worn paint, and incorporated summer-house-style furniture to reference the neighborhood’s past life as a resort town. Most importantly, they added a graphic message, using icons like the crescent moon and star of the Turkish flag, which they emblazoned on a wooden panel and surrounded with lightbulbs—–a national coat of arms spliced with a vanity mirror. The message prompts questions, but it’s these whimsical graphic touches that make Autoban’s interiors feel like more than simple decoration. Autoban’s world is crazy enough to involve a bit of droll imagery attached to otherwise sturdy, stately furniture. At their office, they’ve festooned the furniture with black silhouettes: a puffin perched on the Woody chair; a giraffe nibbling a plant atop the Ladder bookcase; a mustached man in an apron, holding a big knife and staring down a duck on the Bergère chair. The silhouettes double as ideal environments: two-tone, contoured worlds where the designers’ imaginations have total control. This might be why they so love designing furniture—–their limitations don’t involve multiple clients, site issues, or the sapping effect of never-ending logistical questions. Their product work has grown apace with interiors. Their wares won quick acclaim in 2004 at the tony furniture fair Salon du Meuble in Paris, and a display two years later at London’s 100% Design led to a contract with De La Espada, the Portuguese-Spanish furniture retailer that now produces, markets, and distributes Autoban’s products and furniture. As Autoban has grown, Western media has made much of its Turkishness, tending to exoticize its product line, pointing out mosque motifs like minaret-shaped curves and backlit perforations. This line of inquiry too often misses what’s most compelling about the duo’s work: In less than a decade, Autoban has become an instrumental force in Istanbul—–almost single-handedly injecting a design scene into the city. Turkey was well represented in Milan recently, with young designers like Erdem Akan and Serhan Gürkan showing furniture in Zona Tortona. The annual Istanbul Design Week launched in 2005, and creative studios have been popping up all over town. “You can see Istanbul changing day by day,” says Özdemir.